The following exchange between Brahmananda Das (ACBSP) and myself took place on the Facebook profile of Palaka Dasa. I have deleted comments not related to the specific exchange between Brahmananda Prabhu and myself. In ’72 Gita in every Text for the Sanskrit words “sri bhagavan uvaca” the Synonym is “The Supreme Personality of Godhead Said” but the Translation is “The Blessed Lord Said.” Why are the Synonym and the Translation for the same Sanskrit completely different? I think I know the answer to this but does Palaka Dasa and Ajit Krishna Dasa know? 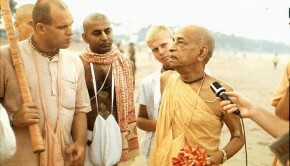 Dear Brahmananda Prabhu! Dandavat pranam! Jaya Srila Prabhupada! The ultimate reason it is there is because Prabhupada approved it. He and Hayagriva worked on the BG before it was printed in 68. After that Prabhupada gave lectures from it and read it. 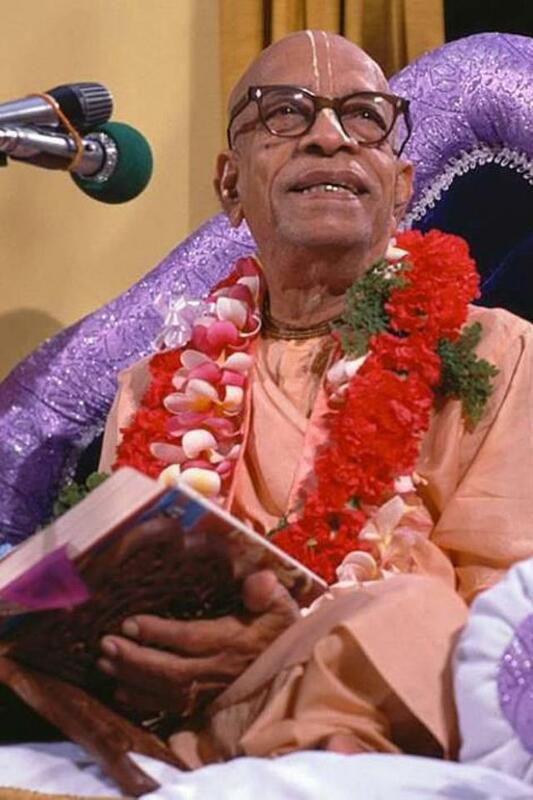 And in a conversation he approved that the verses as they were in the 68 edition could be used for the 72 edition also.Another thing is that Prabhupada would often give one word in the word-for-word and another in the translation. That is often seen in his books. That is his prerogative as author. And it gives us the possibility to see both words. Here is the place where Prabhupada approves of the verses from the 68 edition being used also for the 72 edition. Prabhupada had all the chances in the world to change “The blessed Lord” to “The Supreme Personality of Godhead”, but he didn’t. Then on what authority can we change it? Hayagriva: I would like to see that in going over mine. I’ll have to go over it chapter by chapter. But I will compare the version I have with that version, and… I know the translations themselves, they were somewhat changed in Bhagavad-gītā As It Is as it came out in Macmillan. Did you like those translations? Prabhupāda: Whichever is better, you think. That’s all. You can follow this Macmillan. Hayagrīva: That was the second… They’re good. I think they’re very good. Prabhupāda: Yes. You can follow that translation. Simply synonyms he can add, transliterations. Hayagrīva: And we have all the purports. We can include everything. Nothing will be deleted. Everything will be in there. Dear Brahmananda Prabhu! Thanks for your answer. I think the real question is not who was the main editor behind Prabhupada’s Bhagavad-gita As It Is or what the editors said or did. The main thing is Prabhupada’s relationship to his Bhagavad-gita As It Is. We find no information, as far as I can judge, in your statements or quotes that can be used as sufficient or necessary evidence to support any posthumous changes in Prabhupada’s books. It would be nice if you could point out precisely what you think is the necessary or sufficient evidence, so that we can all see and evaluate it. You said in your first comment that you had some special knowledge about how “The Blessed Lord” came to be in the translations. Maybe you can tell us about it?